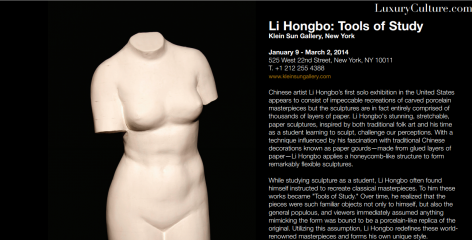 A Q&A with Li Hongbo in light of his show "Tools of Study" (Klein Sun Gallery, 2014). 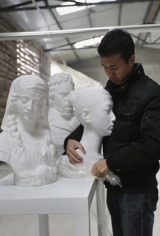 A photo essay of Li Hongbo's work. 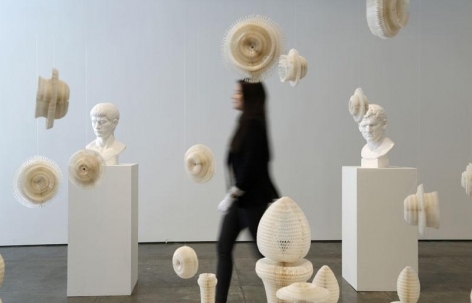 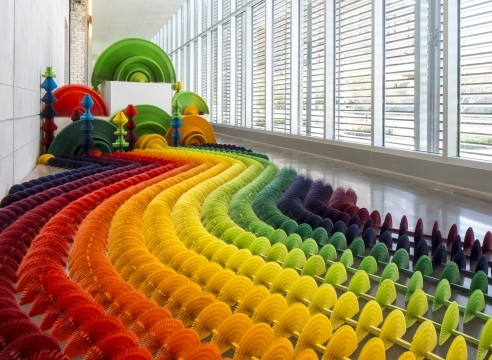 The BBC reports on Li Hongbo's "Tools of Study" show (Klein Sun Gallery, 2014). 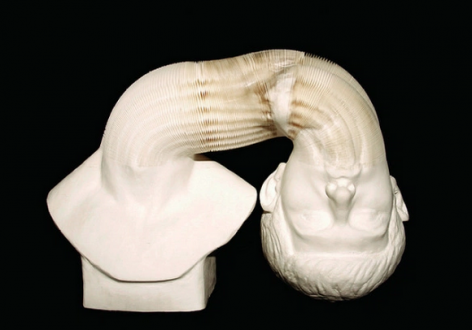 An article on Li Hongbo's "Tools of Study" (Klein Sun Gallery, 2014) and his body of work. 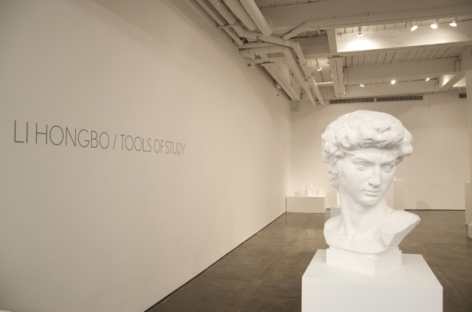 Luxury Culture features works from "Tools of Study" (Klein Sun Gallery, 2014). 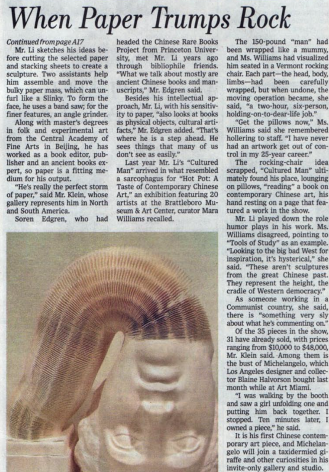 "Tools of Study" (Klein Sun Gallery, 2014) is reviewed in the arts and culture online journal Hi-Fructose.